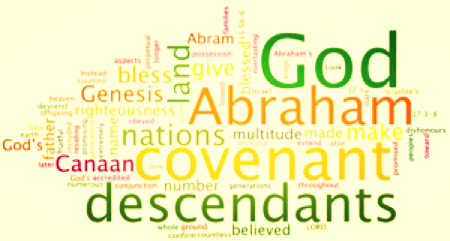 Covenants, Old and New: Old Fashioned, or Cutting Edge? Covenants are a more definitive way to describe contracts that have more substance or are of greater importance. It has been applied to politics, real estate law, and religion. Outside of those parameters we don’t seem to use it much. Surely covenants are old-fashioned, a thing of the past, right? “Then God said, “Let us make mankind in our image, in our likeness, so that they may rule over the fish in the sea and the birds in the sky, over the livestock and all the wild animals, and over all the creatures that move along the ground.” So God created mankind in his own image, in the image of God he created them; male and female he created them.” (Genesis 1:26-27, NIV). If the Bible is clear about anything, it is that God is the God of covenants. He made one with Noah (Genesis 9:9), Abraham, Isaac and Jacob (Exodus 2:24), Moses (Exodus 19:5), David (2 Samuel 7:28), and with us (1 Corinthians 11:25). 1. In the Egyptian world and culture (among many others), people and priests were constantly making gods in the image of things; these gods were extensions of the physical creation, portrayed in the images of created things. Out of nowhere, Moses rises up and proclaims a God who stands apart from things, who instead asserts that He will not abide any physical representation of Himself, and that He alone is the creator of man, who is made in His OWN very image. As the creator, He operates in the context of relationships, and calls mankind to walk with Him in faith. He created a covenant to define and extend His relationship with fallen man, and to provide context about how sinful man could still engage with a Holy creator. 3: Covenants are not some ancient ritual that faded into the distant past. The new covenant is alive and powerful today, and is celebrated in every mass and every Lord’s Supper around the world. Even as we celebrate it, remember that it is not ritual and it is not legalistic, but it is an act of spiritual devotion. The fact that it calls so many people into community is evidence of its spiritual reality. As Hebrews 8:10 says, “This is the covenant I will establish with the people of Israel after that time, declares the Lord. I will put my laws in their minds and write them on their hearts. I will be their God, and they will be my people.” These three observations bring to mind three questions: How’s your relationship with your Creator? Who is God blessing through you? How full of God’s character and personality is your heart? That bound participants fast and firm to all prerequisites and terms. Make each contract hard and fast; Make it binding, make it last. Creating a covenant from the start that touches every human heart. Here upon sin’s battlefield, Christ has offered us His shield! And by His blood we have been sealed. This entry was posted in Daily Devotions, Poetry, Thought for the day and tagged Bible, covenants, Daily Wisdom, Devotional, Genesis 1:26-27, Hebrews 8:10, inspiration, Jesus, observation, spiritual by admin. Bookmark the permalink.